Toss the scotch tape and gift wrap, because all you'll need are Gold 12 x 18 Envelopes! For some, wrapping is hard, difficult, and just frustrating, so skip the hassle and stress! Let these large gold foil envelopes take care of it! Perfect for medium sized gifts, larger cards, bulky documents, photographs and more, these large Open Ended Gold Foil Envelopes are always a good choice. A shiny gold foil goes well with most holidays, birthdays, weddings, and other special occasions. Who wouldn't like to find their gift wrapped in gold? Gold Open End Foil Envelopes measure in at a whopping 12 x 18 and feature a self adhesive strip. This way putting your gift inside and sealing it up tight will take as long as it will take to add this to your cart! 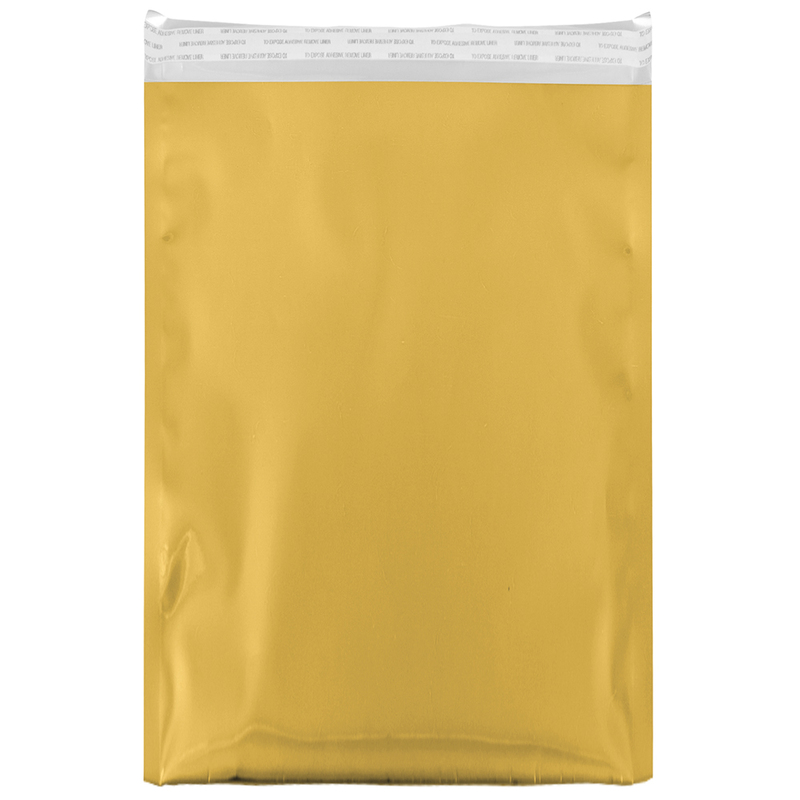 Gold Envelopes can be ordered individually or in bulk, so when you have a lot of people to take care of for the holidays, you'll be set!